A daily search was made for the phrases “global warming” or “climate change” or both in all of the 278 English language newspapers worldwide served by pressdiaplay.com. The running seven-day average of these data are plotted in the chart below. It shows a sudden rise around the time of he Copenhagen meeting in December 2009. Since that high some dramatic changes have occurred. The Copenhagen meeting failed, the climategate scandal broke, errors in the IPCC 2007 Assessment report kept popping up one after another, and the IPCC began backpedaling and retracting one scary claim after another. These errors and their retractions have apparently silenced the previously very shrill voice of the UN’s climate change body. The almost daily new press releases of climate change calamity has ceased. The number of climate change stories has fallen dramatically and they continue to decline. These data bode ill for the IPCC. Their position now is actually worse than it looks in this chart because many of the newspaper articles now being counted as global warming stories are not IPCC press releases but criticisms of the IPCC’s 2007 Assessment Report. A UN report called “The Green Economy” says that our oceans are running out of fish (Ocean’s fish could disappear, Bangkok Post, May 19, 2010) and that environmental upheaval, ecological destruction around the planet, over-fishing, over-population, and government subsidies to the fishing industry are to blame. This scare is not new. It was used at least twice before, first in 1977 (“Sea’s riches running out”) and again in 1994 (“Oceans running out of fish”). However scary the 2010 version of this story may be, with the reader left to contemplate oceans devoid of fish, it is comforting to note in retrospect that the catastrophic forecasts in prior scares about oceans running out of fish turned out to be wrong. It appears that calamity scientists are running out of ideas having lost their grip on both the ozone hole scare and the global warming scare and now find themselves fishing for calamities. Early period of hunter/gatherers. Total population < a few million. Rise of agriculture. Allowed for increase in population density and increase in human population. Industrial revolution. Improvements in medicine, sanitation and agriculture led to rapid increase in population. Today. Rate of growth slow in industrialized nations but high in less developed nations. Earth’s population has doubled several times since Industrial. Revolution. begins. Agriculture. begins. Bubonic. plague. Plowing. and. irrigation. Shown above are (1) The pristine primeval condition of the planet earth; (2) The evil space alien humans looking for a new planet after having killed their home planet; (3) The arrival of evil planet killing humans on planet earth initially as relatively harmless hunter-gatherers; (4) The planet killing ways of the human invaders begins with the Neolithic Revolution; (5) And then accelerates with the Industrial Revolution and the arrival of planet killing fossil fuels; (6) The death sentence of the planet is writ large in the fully fossil fueled economy. A clean and pure pristine primeval planet earth existed for a billion years in natural perfection, wholeness, and wholesomeness – unpolluted, untainted, untarnished and uncorrupted in the perfection of the harmony of nature. The geology, biology, and climatology were in a state of perfection. The climate was stable and unchanging with no extreme weather. Living creatures both plants and animals lived in peace and tranquility as essential elements of nature itself. There was no ozone depletion, no climate change, no skin cancer, no hurricanes and no species extinction from bad weather. Modern day ecofearology is a yearning for this humanless state of nature – a yearning for a return to what the planet was like before humans came along. Meanwhile a planet far far away was being poisoned to death by evil humans. After their planet died from fossil fuel poisoning these humans set out to find a new planet to live on. They found the planet earth. The devil thus appeared on earth in the form of humans who came on spaceships from outer space . Humans are not part of nature but an external force alien to nature and an abomination. They will soon turn this heavenly planet into a living hell with human activity because their nature is to consume and destroy. At first the alien humans were relatively harmless living off the land as hunter gatherers in harmony with nature. But they were just biding their time and waiting for their numbers to grow. When their population reached 6 million, they made their first move for the conquest of the planet. It was a fundamental change in human behavior that has come to be called the Neolithic Revolution. In the Neolithic Revolution, the humans gave up their eco-friendly hunter-gatherer lifestyle and cleared forests to build homes and farms and to grow crops and raise animals in an extensive and intensive land use change that would forever alter the ecology of the earth. The strategy was immensely successful for the humans who now commanded incredible wealth and power over all other life forms. Their numbers grew rapidly in a population explosion from 6 million to 60 million. By the year 1750 the population of humans had surged to one billion. Their affluence from agriculture, tool-making, medical care, and new knowledge about the earth had rapidly increased their power against nature. But the greater and more devastating change was yet to come in the form of the Industrial Revolution made possible with the transition in their source of energy from animal power, wind, and running water to machines burning hydrocarbon fuels dug up from under the ground. This new found energy source and the machines gave them immense power. Nature would soon be at their mercy. By the year 1950, the population of humans had more than doubled to 2.5 billion and more and more machines were invented so that almost everything the humans did was driven by fossil fueled machines. These included cars and trucks for surface transportation, fossil fueled ships for crossing the oceans, and fossil fueled aircraft for their conquest of the atmosphere. Nuclear bombs were invented, tested, and used. Space travel was opening up new tools and ways for humans to conquer nature. The Anthropocene was now in full force. Whereas humans had once been at the mercy of nature, the tables had been turned, and nature and the planet itself were now at the mercy of humans and human activity. The consequences of these changes and of the implications of the complete capture of nature by humans for the ability of nature to sustain humans in the future are the primary concerns of the new science of Ecofearology. The science involves the study of nature and human activity as a way of protecting nature and managing nature to preserve its ability to sustain humans. It is based on NINE PRINCIPLES. PRINCIPLE#1: There are no natural or cyclical changes on earth. All measured changes in nature are trends and all trends are human caused. PRINCIPLE#2: The concentration of all chemicals in the atmosphere and oceans is important. If the concentration is going up it’s a bad thing and its accretion is caused by human activity. Higher concentrations of this thing will be the end of the world. PRINCIPLE#3: If the concentration is going down it’s a bad thing and its depletion is caused by human activity. If we run out of this thing it will be the end of the world. PRINCIPLE#4: Humans are not part of nature but space aliens that invaded this once pristine planet. The planet was fine until the dreaded humans arrived. PRINCIPLE#5: All human caused trends lead to catastrophic results for the environment and by extension, the planet itself. It is not possible for a human caused trend to benefit the planet because humans are not part of nature but space aliens and unnatural. PRINCIPLE#6: Human scientists can save the planet from the other humans because the impact of bad human intervention in nature can be undone only by good human intervention prescribed by human scientists because they know a lot of science and physics and stuff like that. Human intervention is necessary to save the planet from human intervention. PRINCIPLE#7: Even if deniers find fault with the science of human caused catastrophe, we must ignore the deniers because we can’t take the chance that the scientists could turn out to be right. PRINCIPLE#8: If you don’t find any human caused planetary emergency that threatens the destruction of Nature and the world, it is because you have not looked closely enough. You must work harder and keep looking until you find it. PRINCIPLE#9: The human invaders of this once pristine planet are now the managers of nature and the operators of the planet. Therefore we humans must take care of nature and run the planet because nature can no longer take care of itself like it once did now that the human invaders are here. Dr. Genevieve Guenther @DoctorVive “To think of climate change as something that WE are doing, instead of something we are being prevented from undoing, perpetuates the very ideology of the fossil-fuel economy we’re trying to transform.” But then again I think it’s delusional to believe that the costs of climate change will in the end be merely marginal. It strikes me that since we don’t have a carbon price (and since presumably the social cost of carbon will be paid in the future over some timescale), in some ways American GDP growth is effectively a pyramid scheme. As Director of @EndClimateSilence, I thank you for amplifying our tweet thread. Glad to see we’re making you nervous. But I must also say that you, blatantly lying, misrepresent both our position and the science in your attempted rebuttal. Let’s begin, shall we? You lie, misrepresent, conceal, distract, distort. You don’t speak for science. Or reason. You speak for death. You seem not to want people to comprehend that truth. At @EndClimateSilence we are committed to a culture of truth. Climate change is real, it’s underway, and it’s going to get more dangerous every day and every year until we stop burning fossil fuels. That’s the truth. You and your ilk use the uncertainty over flood signals on a *global* scale to lie about established local links between climate change and extreme weather. First of all, we’ve never called for anyone to “blame global warming” for any extreme weather event. That’s a lie. We call for reporters to mention climate change in their stories about extreme weather. Climate change is part of the context for those stories. Despite your claims, science *has* identified more extreme precipitation events & flooding as an effect of AGW in the Northern Great Planes of the US. Here are 4 examples from what you call “US Climate Assessment” [sic], in the section about the N Great Planes themselves. And here’s a link to the document itself: https://nca2018.globalchange.gov/chapter/22/. [Do a word-search for “floods” and you’ll find the passages I cited, and more.] You claim that science has not established a connection between riverine flooding and climate change in the region. You even pretend that this lie has the imprimatur of the UN behind it. But citing what the IPCC said about *global* flooding impacts back in 2014 is a fine bit of legerdemain to hide the truth. This is the truth: “In fact, across the midwestern United States, statistically significant increases in flooding are well documented. Here’s the link to the report itself: https://science2017.globalchange.gov/downloads/CSSR2017_FullReport.pdf … And the screenshot again, because why not? Look at all those footnotes! You and your ilk use the uncertainty over flood signals on a *global* scale to lie about established local links between climate change and extreme weather. At @EndClimateSilence we are committed to a culture of truth. Climate change is real, it’s underway, and it’s going to get more dangerous every day and every year until we stop burning fossil fuels. That’s the truth. You seem not to want people to comprehend that truth. You lie, misrepresent, conceal, distract, distort. You don’t speak for science. Or reason. You speak for death. If people had ANY idea of the harm and loss that is coming our way with #ClimateBreakdown, they would stop driving, flying, eating meat, overheating and overconsuming pretty much instantly, and work tirelessly to build new low carbon societies. The fact that they don’t is due to lack of information: not so much on the science of climate change, but on 1) its immediate and near future damage 2) the political and economic structures propping up fossil fuel use 3) our collective potential for immense and rapid change. This shift can happen, but not if we don’t hammer home these three points, in all ways possible. We should not forget the capitalistic way of production; it’s not just our lifestyle – it’s the way we organise labour through markets and competition, that leads to that. These enterprises should be targets of protest. I haven’t forgotten the capitalistic mode of production ClimateAction must FightFascism more or our role in changing it. I agree. I had my wake up call after reading an article on positive feedback loops in August this year and it has transformed the way I see the world. I think there is a gap in awareness of the speed and scope of climate impacts, even among those who consider themselves educated on the topic. Many of my colleagues haven’t read #SR15 – those who have tend to be the ones going around with their hair on fire. My statement is from a hindsight perspective: the same people, 20 years from now, will wish they had done all in their power to avert the catastrophes they will witness. Notice how those affected by fires & hurricanes are not hesitating anymore in the US (like Ocasio-Cortez). Oh yeah, for sure, there will be plenty of regret and recriminations amongst the ashes. But I don’t know how much worse the warnings could be, and all that happens is emissions increase. I don’t disagree, I think that’s firmly where we’re heading. As much as I can, I’m trying to bring forward another message, one that supports radical action (and that allows those who think like us to be less lonely in their awareness). Does that make sense? What would you do? I don’t have answers. I did my PhD and several papers on basis of believing if only people knew what 2c actually meant then everyone would change. 3.5 years of working on public engagement with @ClimateOutreach has disabused me of that belief. I was remarking on this today when I drove by a mall swarmed with Christmas shoppers mindlessly consuming as the world burns around them. Holidays are our soma, apparently. My engine technology can get us all to 100% carbon free at less than current technology, which wind and PV panels cannot. Works in airplanes, cars, trucks, houses, building and more. No worries. Interested in helping? All this is predicated on the principle that our continued existence is a good thing. What’s wrong with humanity just dieing out? Many species do. That will also , as per your view, eliminate man made climate change. Win-win. Why not just come out and suggest people should die? but climate change is already killing people. Being wrong on the internet (& in life) is your thing, obviously. BIBLIOGRAPHY: DID THE ANTHROPOCENE BEGIN IN THE HOLOCENE? 1998: Carcaillet, Christopher. “A spatially precise study of Holocene fire history, climate and human impact within the Maurienne valley, North French Alps.” Journal of ecology 86.3 (1998): 384-396.1 If, within a vegetation type, fire regimes are climate dependent, then fire patterns should be synchronous at regional scales. If they are not synchronous, then fires may be dependent on local processes such as human‐induced disturbances. 2 Two fire chronologies were developed using 34‐radiocarbon dating measured by accelerator mass spectrometry (AMS) from wood charcoal buried in soil. These charcoal fragments were sampled in two study sites 10 km apart in the Maurienne valley (Southern Vanoise massif, Savoy, France). 3 Asynchronous temporal fire patterns were seen at Aussois and Saint‐Michel‐de‐Maurienne. This demonstrates the dependence of fires on local‐ or stand‐scale environmental forcing; any direct relationship with climate is therefore rejected. 4 Slash‐and‐burn practices are probably the main source of Holocene fires in the Maurienne valley. However, deforestation did not occur throughout a site in any period, nor simultaneously at the same elevation in two different sites 10 km apart. The cultural landscape was shaped as early as the Neolithic and the Bronze Age, between 6000 and 3000 bp. 5 Deforestation at both study sites probably occurred in many stages in many small areas. The fire intervals were c. 500–1000 years. Deforested areas increased in extent over 2000–4000 years, until the present‐day cultural landscape was established. This process stopped c. 2500 bp at Saint‐Michel‐de‐Maurienne but is still active at Aussois. 2000: Yasuda, Yoshinori, Hiroyuki Kitagawa, and Takeshi Nakagawa. “The earliest record of major anthropogenic deforestation in the Ghab Valley, northwest Syria: a palynological study.” Quaternary International 73 (2000): 127-136. Pollen analytical studies on the sediment core from the Ghab Valley in Northwest Syria detected a large-scale anthropogenic deforestation of deciduous oak forest as early as 9000 14C yr BP. Following the lateglacial climatic amelioration, deciduous oak forest gradually expanded at the foot of Mt. Ansarie since 14,500 14C yr BP. Then this forest was cleared by Pre-Pottery Neolithic B (PPNB) people 9000 14C yr BP, supposed to be the oldest record of forest clearance by humans. After this deforestation, the vegetation was replaced by secondary pine forest, possibly with some cultivated plants such as olive and wheat. Forest clearance by PPNB people might have been severe enough to change the lake environment, accelerating soil erosion and nutrient supply as is reflected in the increase of Pediastrum. The clearance of Lebanese cedar trees began 7700 14C yr BP by the Pottery Neolithic people. Due to the forest clearance by Early Bronze Age people, the deciduous oak and Lebanese cedar forest had almost disappeared from the eastern slope of Mt. Ansarie by around 4900 14C yr BP. Olive groves expanded instead of deciduous oak forest. As described in the epic of Gilgamesh, forests completely disappeared from the Mesopotamian and Mediterranean districts. 2002: Marchetti, Mauro. “Environmental changes in the central Po Plain (northern Italy) due to fluvial modifications and anthropogenic activities.” Geomorphology 44.3-4 (2002): 361-373. The fluvial environment of the central Po Plain, the largest plain in Italy, is discussed in this paper. Bounded by the mountain chains of the Alps and the Apennines, this plain is a link between the Mediterranean environment and the cultural and continental influences of both western and eastern Europe. In the past decades, economic development has been responsible for many changes in the fluvial environment of the area.This paper discusses the changes in fluvial dynamics that started from Late Pleistocene and Early Holocene due to distinct climatic changes. The discussion is based on geomorphological, pedological, and archaeological evidences and radiocarbon dating. In the northern foothills, Late Pleistocene palaeochannels indicate several cases of underfit streams among the northern tributaries of the River Po. On the other hand, on the southern side of the Po Plain, no geomorphological evidence of similar discharge reduction has been found. Here, stratigraphic sections, together with archaeological remains buried under the fluvial deposits, show a reduction in the size of fluvial sediments after the 10th millennium BC. During the Holocene, fluvial sedimentation became finer, and was characterised by minor fluctuations in the rate of deposition, probably related to short and less intense climatic fluctuations. Given the high rate of population growth and the development of human activities since the Neolithic Age, human influence on fluvial dynamics, especially since the Roman Age, prevailed over other factors (i.e., climate, tectonics, vegetation, etc.). During the Holocene, the most important changes in the Po Plain were not modifications in water discharge but in sediment. From the 1st to 3rd Century AD, land grants to war veterans caused almost complete deforestation, generalised soil erosion, and maximum progradation of the River Po delta. At present, land abandonment in the mountainous region has led to reafforestation. Artificial channel control in the mountain sector of the basins and in-channel gravel extraction (now illegal but very intense in the 1960s and 1970s) are causing erosion along the rivers and along large sectors of the Adriatic coast. These changes are comparable with those occurring in basins of other Mediterranean rivers. 2003: Staubwasser, Michael, et al. “Climate change at the 4.2 ka BP termination of the Indus valley civilization and Holocene south Asian monsoon variability.” Geophysical Research Letters30.8 (2003). Planktonic oxygen isotope ratios off the Indus delta reveal climate changes with a multi‐centennial pacing during the last 6 ka, with the most prominent change recorded at 4.2 ka BP. Opposing isotopic trends across the northern Arabian Sea surface at that time indicate a reduction in Indus river discharge and suggest that later cycles also reflect variations in total annual rainfall over south Asia. The 4.2 ka event is coherent with the termination of urban Harappan civilization in the Indus valley. Thus, drought may have initiated southeastward habitat tracking within the Harappan cultural domain. The late Holocene drought cycles following the 4.2 ka BP event vary between 200 and 800 years and are coherent with the evolution of cosmogenic 14C production rates. This suggests that solar variability is one fundamental cause behind Holocene rainfall changes over south Asia. 2006: Kuper, Rudolph, and Stefan Kröpelin. “Climate-controlled Holocene occupation in the Sahara: motor of Africa’s evolution.” Science 313.5788 (2006): 803-807. Radiocarbon data from 150 archaeological excavations in the now hyper-arid Eastern Sahara of Egypt, Sudan, Libya, and Chad reveal close links between climatic variations and prehistoric occupation during the past 12,000 years. Synoptic multiple-indicator views for major time slices demonstrate the transition from initial settlement after the sudden onset of humid conditions at 8500 B.C.E. to the exodus resulting from gradual desiccation since 5300 B.C.E. Southward shifting of the desert margin helped trigger the emergence of pharaonic civilization along the Nile, influenced the spread of pastoralism throughout the continent, and affects sub-Saharan Africa to the present day. 2016: Boivin, Nicole L., et al. “Ecological consequences of human niche construction: Examining long-term anthropogenic shaping of global species distributions.” Proceedings of the National Academy of Sciences 113.23 (2016): 6388-6396. The exhibition of increasingly intensive and complex niche construction behaviors through time is a key feature of human evolution, culminating in the advanced capacity for ecosystem engineering exhibited by Homo sapiens. A crucial outcome of such behaviors has been the dramatic reshaping of the global biosphere, a transformation whose early origins are increasingly apparent from cumulative archaeological and paleoecological datasets. Such data suggest that, by the Late Pleistocene, humans had begun to engage in activities that have led to alterations in the distributions of a vast array of species across most, if not all, taxonomic groups. Changes to biodiversity have included extinctions, extirpations, and shifts in species composition, diversity, and community structure. We outline key examples of these changes, highlighting findings from the study of new datasets, like ancient DNA (aDNA), stable isotopes, and microfossils, as well as the application of new statistical and computational methods to datasets that have accumulated significantly in recent decades. We focus on four major phases that witnessed broad anthropogenic alterations to biodiversity—the Late Pleistocene global human expansion, the Neolithic spread of agriculture, the era of island colonization, and the emergence of early urbanized societies and commercial networks. Archaeological evidence documents millennia of anthropogenic transformations that have created novel ecosystems around the world. This record has implications for ecological and evolutionary research, conservation strategies, and the maintenance of ecosystem services, pointing to a significant need for broader cross-disciplinary engagement between archaeology and the biological and environmental sciences. 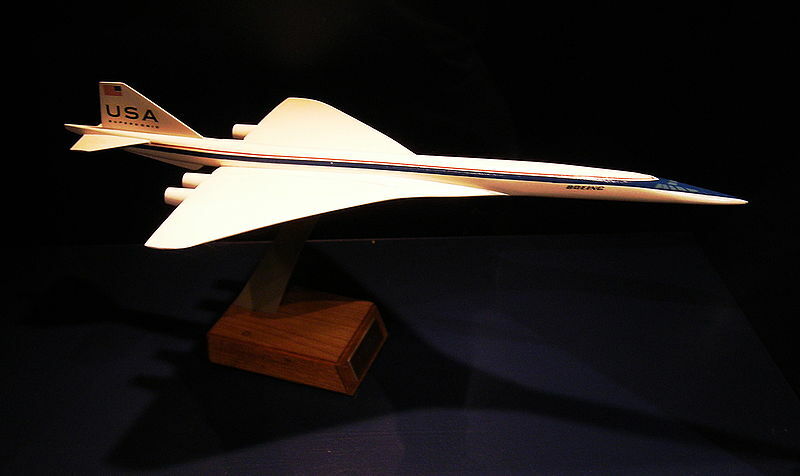 1969, The SST: A plan to develop high altitude supersonic airliners with the Boeing 2707 as a concept vehicle. The very high cruising altitude of the SST raised environmental alarms that included both climate change and ozone depletion. 1969, Climate change: An alarm is raised that chemicals and aerosols in the exhaust of the SST jet engines will cause climate change. 1970, Ozone depletion: The climate change theory is quietly shelved after critical reviews by skeptics and a new alarm is raised. Water vapor in the SST jet exhaust will cause a 4% depletion of ozone in the ozone layer causing 40,000 additional cases of skin cancer every year in the USA alone. 1970, Ozone depletion: The water vapor theory is quietly forgotten after critical reviews by skeptics who produced data showing that higher levels of water in the stratosphere is coincident with higher levels of ozone. 1970, Ozone depletion: A new ozone depletion theory emerges. Nitric oxide (NOx) in the SST jet exhaust will cause ozone depletion because NOx acts as a catalyst to destroy ozone without being consumed in the process. 1971, Ozone depletion: A computer model is developed to assess the impact of NOx in SST exhaust on the ozone layer. The model predicts that there will be a 50% ozone depletion and a worldwide epidemic of skin cancer. Animals that venture out during daylight will become blinded by UV radiation. It was an apocalyptic scenario. 1971, Ozone depletion: NOx in the fireball of open air nuclear tests provide a ready laboratory to test the ozone depletion properties of NOx. The computer model predicted 10% ozone depletion by NOx from nuclear testing. Measurements showed no ozone depletion; but the model won anyway and the ozone depletion scare endured. 1972, Death of the SST: We were so frightened by the ozone depletion scare that the SST program was canceled although America’s skies soon became filled with supersonic fighters and bombers spewing NOx without any evidence of ozone depletion or of skin cancer or of blindness in animals. 1972, Nuclear summer: Although not confirmed by the data, ozone depletion by nuclear bombs predicted by the computer model took on a life of its own and morphed into a new catastrophe theory called the nuclear summer. 1972, Nuclear summer: The phrase “nuclear summer” is everywhere in the media. There is a doomsday forecast that the immediate result of a nuclear war will be the total annihilation of the ozone layer. All life on earth will be wiped out by UV radiation. Therefore there can be no winner or loser in a nuclear exchange of sufficient intensity. Mutual assured destruction. 1973, Nuclear summer: Report by the National Academy of Science: An exchange of thousands of megatons of nuclear bombs will increase NOx in the stratosphere by an order of magnitude. The NOx will destroy 30%-70% of the ozone in the northern hemisphere and 20%-40% of ozone in the southern hemisphere. Within a few months we will be blinded and roasted by UV radiation with blistering of the skin. The atmosphere will take 30 years to recover. All of these findings were derived from a sophisticated computer model and these findings were supported by a broad consensus of scientists. 1973, Nuclear summer: Skeptics of the ozone scare point out that the study of nuclear testing did not show any ozone depletion and also that vast amounts of NOx – more than man could ever inject into the stratosphere – is made by nature when solar wind strikes nitrogen in the atmosphere; and therefore that there must be something wrong with the computer model that causes it to over-estimate the effect of NOx on ozone. 1973, Space Shuttle: Unperturbed by the skeptics and emboldened by their SST success, fear mongering scientists turn their attention to the proposed Space Shuttle program. The shuttle design included two solid fuel rockets that emit hydrogen chloride (HCl). Scientists calculated that 50 flights per year would deposit 5000 tons of HCl per year in the stratosphere that could cause a 10% ozone depletion over Florida and 1% to 2% elsewhere. Although the scare was hyped it never got to the SST levels and the space shuttle miraculously survived the ozone scare. 1974, Ozone depletion: The ozone depletion game was now in full gear. Having tasted the power of being able to inflict debilitating fear of ozone depletion, the scientists embarked on a fishing expedition to find other chemicals generated by human activity that could get up to the stratosphere and catalyze the chemical reactions of ozone depletion. 1974, CFC: A new candidate agent for ozone depletion is found. Chlorofluorocarbons are synthetic chemicals used in aerosol sprays and in refrigerant for air conditioners and refrigerators. CFC emissions to the atmosphere accumulate in the stratosphere because there are no sinks to remove them from the lower atmosphere. Up in the stratosphere they are able to catalyze the destruction of ozone. The ozone depletion game was thus begun anew. 1974, Doomsday Theory: When CFCs rise to the stratosphere they are decomposed by UV radiation to release chlorine. The chlorine ion can then catalyze thousands of ozone destruction cycles without being consumed. Up to 40% of the ozone will be destroyed. The chlorine theory was old but its ready supply from CFCs was a completely new angle and so a new doomsday scenario was quickly sketched out for dissemination. NY Times, September 26, 1974, A big day for Doomsday journalism. The NYT predicts ozone depletion of 18% by 1990 and 50% by 2030 by CFCs will cause skin cancer epidemic, mutation of frogs, blindness in animals and people. The whole world is frightened. The ozone scare had begun anew this time with CFC as the agent of ozone depletion. The scare was very successful and it appeared in various forms almost every day in newspapers and television for the next two decades. 1983, nuclear winter: Carl Sagan and co-authors publish an article in Science that, based on their computer model, a nuclear exchange between the Cold War rivals or even a single preemptive strike by one upon the other would spew enough particulates and aerosols into the stratosphere to occlude sunlight for weeks causing temperatures worldwide to drop by 30C. Social and human settlement infrastructures will collapse and throughout the world there would be starvation, hypothermia, disease, and death. 1983, nuclear winter: Skeptics point out flaws in the nuclear winter computer model saying that it does not include the effect of oceans and of weather phenomena such as hurricanes that would clear the mist out of the stratosphere; but the nuclear winter scare continued to get top play in the media. 1985, nuclear winter: Sagan and co-authors finally admit that they may have exaggerated the nuclear winter effects of their model but that they did it for a good cause and that was to preserve the deterrence property of nuclear weapons that was thought to be in jeopardy due to improvements in nuclear weapons technology and the dangerous idea contained in the Star Wars program that a nuclear war was winnable. 1980, global warming: scientists detect rising carbon dioxide levels coincident with rising temperatures since the industrial revolution and conclude that the increase in CO2 comes from our use of fossil fuels and that it cause temperatures to rise. 1992, Scientists discover large quantities of chlorine monoxide in the stratosphere above the Arctic circle and announce that it will cause an ozone hole over the Arctic with dire forecasts of UV related disease and destruction to follow. 1992, Scientists announce that the ozone hole problem over the Arctic is worse than previously thought because along with high concentrations of chlorine in the stratosphere they also found unusually low concentrations of NOx in the lower atmosphere. This is bad because “NOx is the immune system of the atmosphere” because it protects ozone from destruction by chlorine. Epitaph: So now we have come full circle with NOx, a chemical that started out in this story as a bad guy that caused ozone depletion until they found NOx depletion and then it became a good guy that protects ozone from destruction by chlorine.